5: كتاب "روش طراحي و تحليل مدارهاي الكترونيك"
توضيح: This paper discusses a filter whose amplitude response characteristic is where m/ is a function of frequency and k is a constant related to the filter bandwidth. The amplitude response curve of this filter has the shape of the Gaussian probability function and it is shown that the phase response curve may be assumed to be linear. 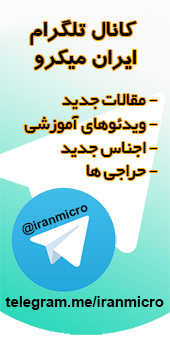 فقط کاربران عضو حق ارسال پيغام دارند. ورود يا عضويت.